Going Nutty! : The $64,000 Question- What's for Dinner? 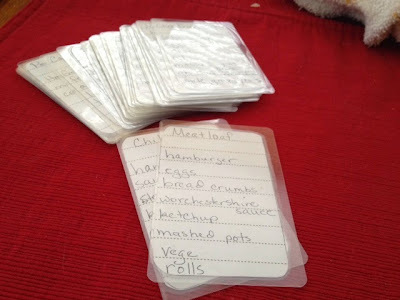 Great idea!, I'm going to make myself some dinner cards so I'm not making the same things over and over again! You're such a smartie squirrel. What an awesome idea! I love it! It's such a struggle trying to think up what to make for dinner! Genius!